How To Make A License Plate Map from C.R.A.F.T. I love maps and there is a print of a map of the US made out of license plates that I have thought about buying for a while, but Jamie made something so much cooler. 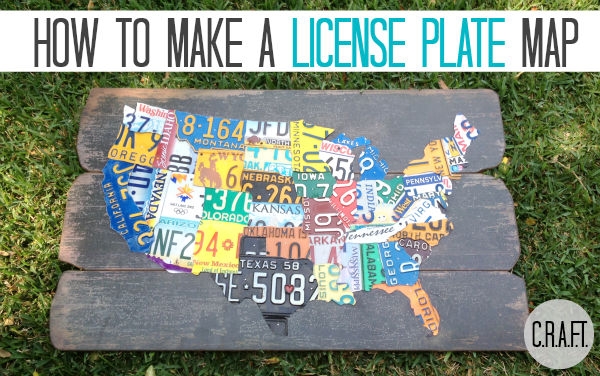 She used a map board from World Market as a template for this amazing DIY license plate map. Each state is cut from a license plate from that state. To give you an idea of how large it is, Texas required two! You can check out how to make your own DIY license plate map over at C.R.A.F.T.